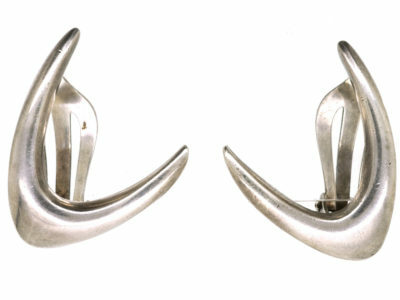 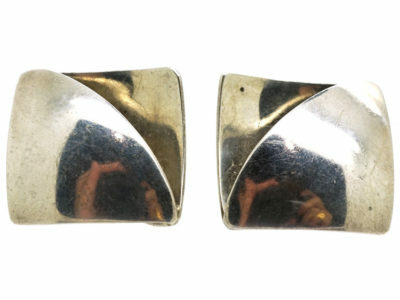 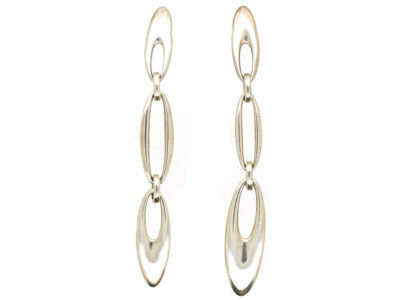 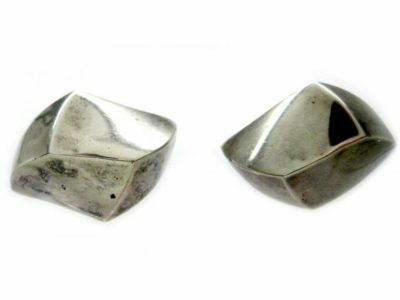 A fabulous large pair of silver earrings. 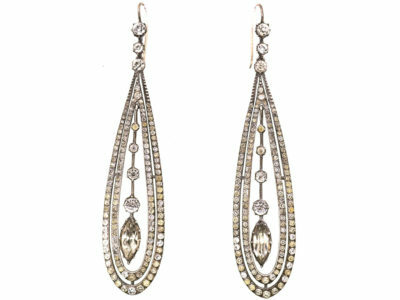 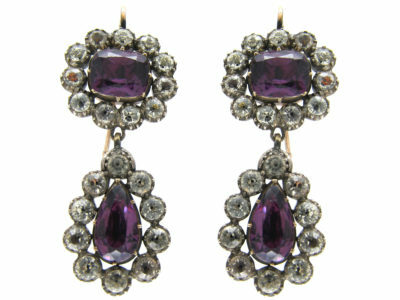 They were most likely made in France in the early 1900s and are set with graded paste to imitate diamonds. 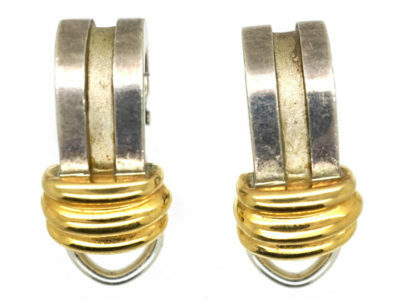 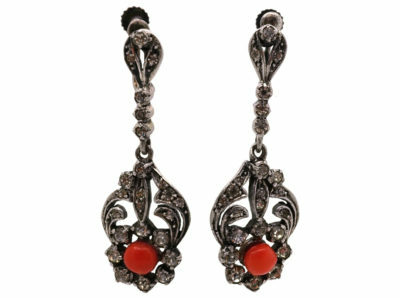 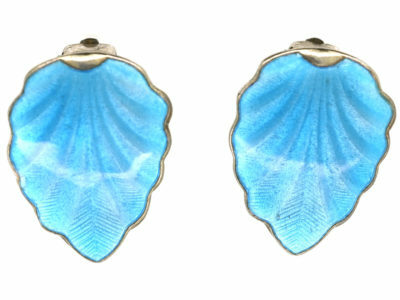 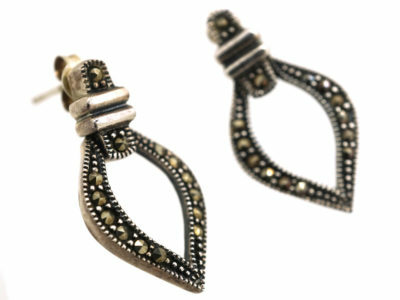 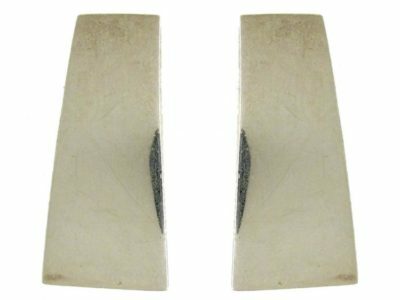 They are beautifully made and look amazing when worn, and are great example of earrings made in that period. 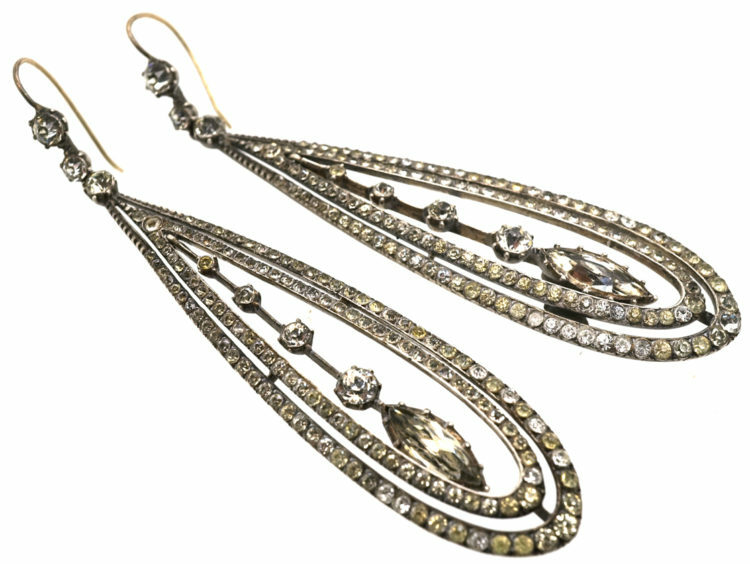 A pair like these are very hard to find these days. 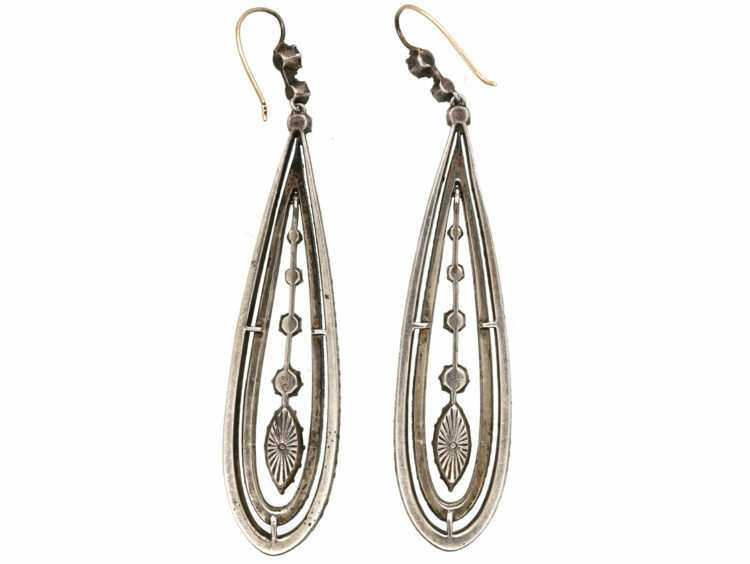 Really love these earrings. 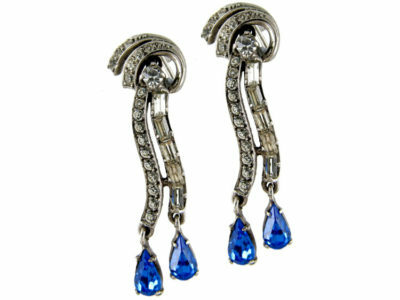 They are so elegant!